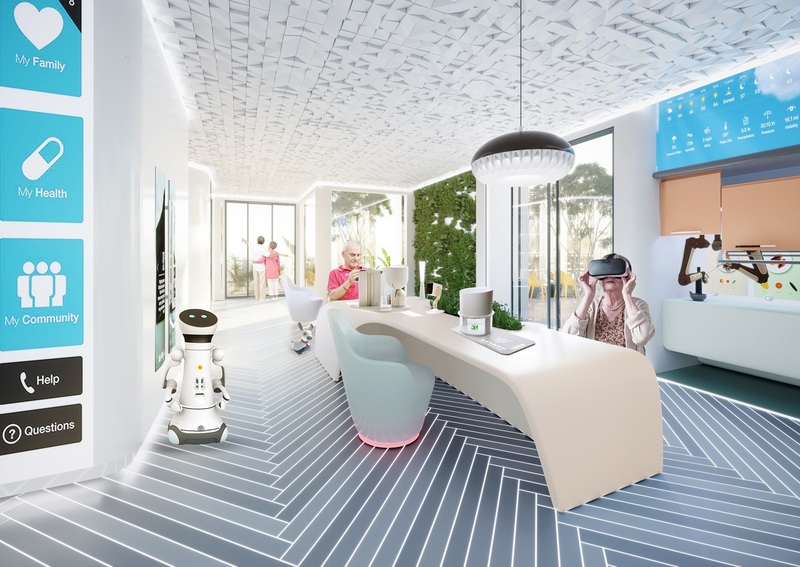 Jakub Rozanski and Katarzyna Mackowiak from Manchester-based architectural and design visualisation firm, We Mapout set out to answer just that question in their white paper, Neighbourhoods of the Future, published in partnership with Tata Steel and Agile Ageing Alliance. 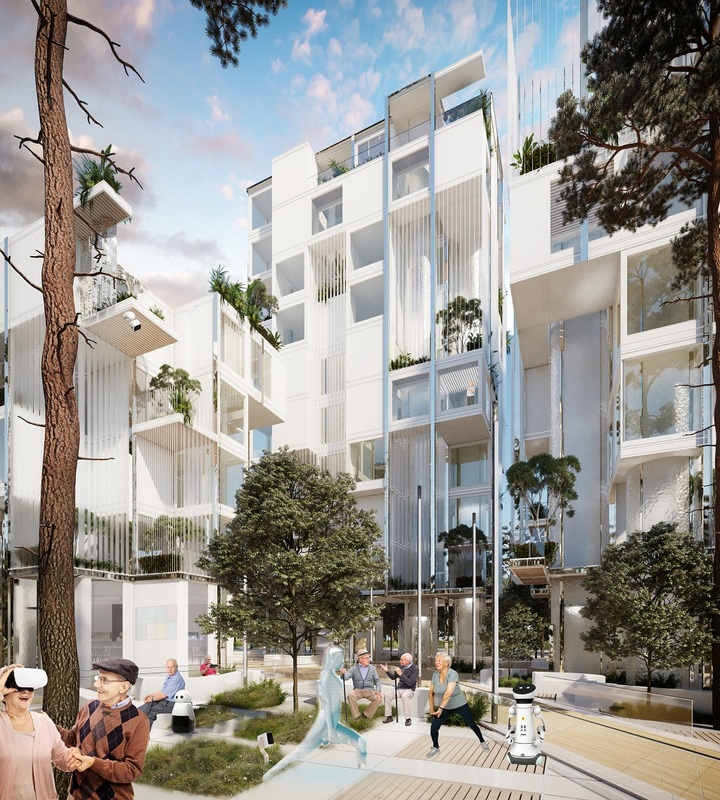 The building concept — inspired by Milan’s ‘vertical forest’ — includes prefabricated and customised units that are prepared offsite and are slotted into the steel mainframe, with buildings in the development clustered around a community space with a pharmacy and other services on the ground floor. In this space, they see large open courtyards and pathways along with enclosed social spaces and seating areas. 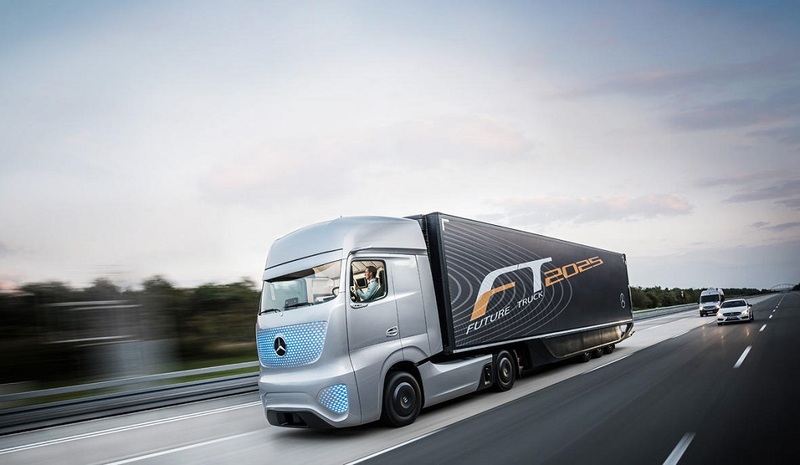 Tech includes an electric vehicle charging station, as well as a robots on hand to deliver items including takeaway food and groceries. Pavegen tiles form paths that convert footfall into off-grid power. Each footstep generates two to four joules of electrical energy or up to seven watts of power. And this tech is already in use, with the London-based firm’s recent installations including smart city developments, retail destinations, sports stadia and education institutions in Hong Kong, India, Korea, Thailand, UAE, UK and US. And for security, outdoor cameras allow users to keep an eye on things when they’re at home, or away, by connecting to an app showing live and recorded video triggered by movement. These rooms will have large windows and adjustable lighting as well as bridges that connect to neighbourhood towers and a dedicated space for exercising. The ICAROS system, for example, uses virtual reality to “enable users to fly or dive through virtual worlds while improving fitness.” The German company says the exercises are ideal for improving core stability, functionality and reactivity. 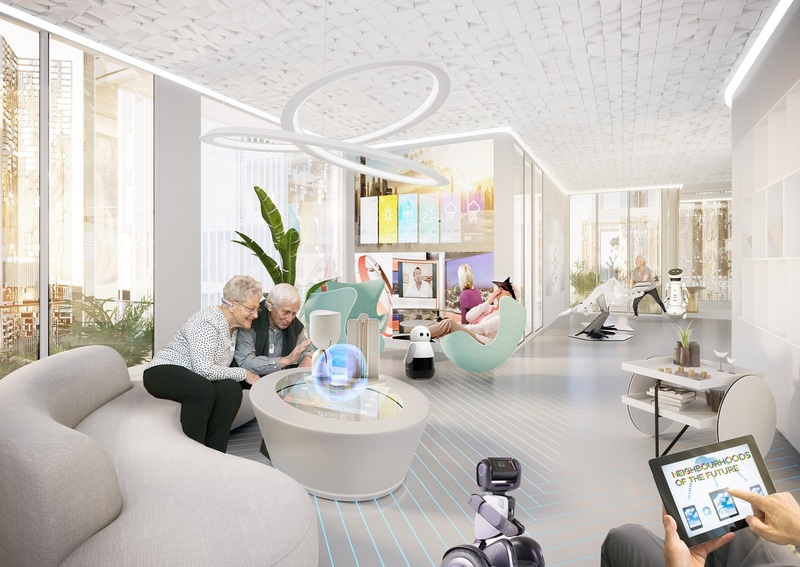 Elsewhere in this space, people can watch movies, TV and play games using virtual reality headsets, while robots like the ElliQ help people read and respond to messages, share pictures and make appointments. Like the communal area, this room has large windows and adjustable lighting as well as access to vertical gardens and bridges to other towers. It’s also home to a bio wall where residents can grow their own food, and smart refrigerators where people can use screens see what their families have been up to, and share photos and messages. They can also use it to listen to music and the radio, or even watch TV. Here, you might also find companion robots like MiRo providing social interaction and entertainment, while also discreetly monitoring people’s health through wearables like bracelet sensors. And when it comes to cooking dinner, London-based Moley Robotics says it has created the world’s first robotic kitchen. It learns recipes, cooks and even cleans up and the package includes an oven, hob, sink and two dexterous robotic arms with multiple joints and tactile sensors. The consumer product is due to launch this year.